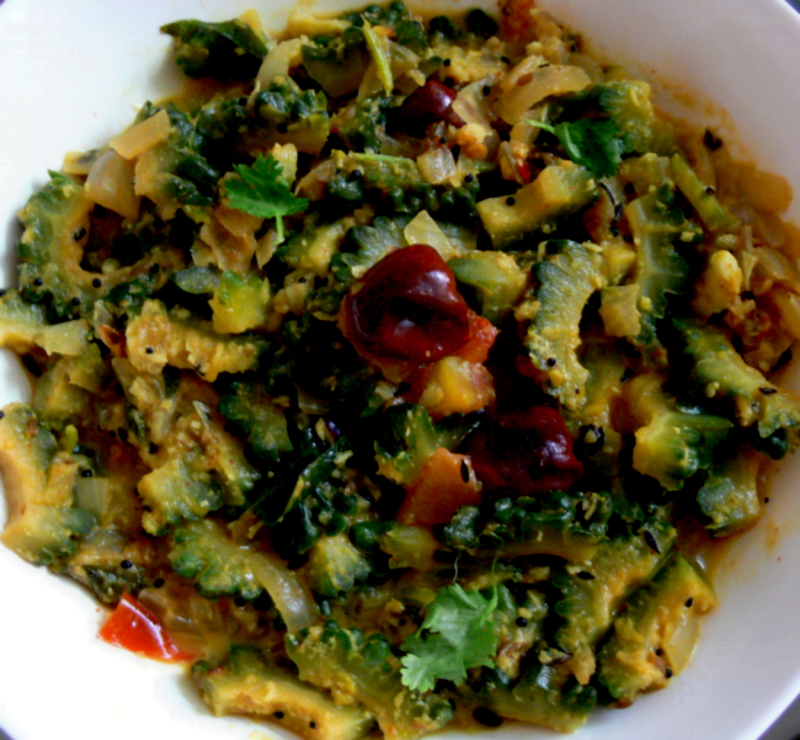 This Bittergourd Masala is an easy and tasty dish. This one is good for diabetic patients and this needs 10 mins microwave cooking-time only.Try this at home and enjoy this dish. Take a microwave bowl and add fenugreek seeds, mustard seeds, cumin seeds, chopped onions, whole red chillies,curry leaves and refined oil. Mix them well. Microwave this on high for a min. Mix all the other ingredients and add this to the above bowl. Microwave this on high for 9 mins. If u need this dish as gravy, add 1 cup fresh coconut milk and 1/4 tsp turmeric powder and microwave(high) this mixture 4 more mins. Serve this tasty bitter-gourd Masala hot with rice and sambar or chapathi or Idli. U can add 50 ml tamarind extract -that of gooseberry size when u mix all the ingredients and microwave this on high for atleast 12 -14 mins(instead of 9 mins) or till this becomes dry, stirring this once.This will give a sweet 'n' sour taste to the Bittergourd Masala.